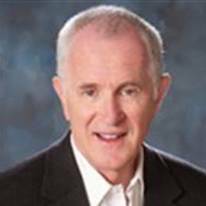 Terry Pullan held senior management positions for over 20 years with Merrill Lynch Realty, Prudential California Realty and Fox & Carskadon Real Estate. In 1996 Terry founded Genstar Media as one of the first companies to design personal websites for the real estate industry. In 2008 his company was acquired by Dominion Enterprises, a privately held company headquartered in Norfolk, Virginia. Terry lives in Rancho Park where he has immersed himself as an active volunteer in the community. He has been a leader for many years at Temple Isaiah where he served as President. He also served as President of the Westwood School Booster Club, was a founding member of the Westwood Neighborhood Council and is a member of the Hebrew Union College Board of Overseers. Terry and his wife, Andrea, have two daughters, Lara and Sasha. Susan Levine moved to Los Angeles in the fall of 2015 with her husband, Rabbi Joel Levine, after living in Florida for over 30 years. 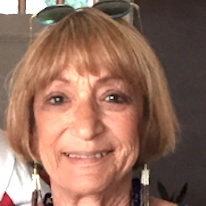 While living there she served as the community Family Life Educator for the Commission for Jewish Education and then as the Cultural Arts and Special Events Director at the Jewish Community Center of the Greater Palm Beaches. Prior to Florida, Susan lived in Washington, DC, where she was the owner of a large secretarial temporary help company. In addition to her love for ChaiVillageLA, she is also an active docent at the Skirball Cultural Center. She and Joel are members of both Temple Emanuel and Temple Isaiah. Andrea Pullan has spent all but four years of her life living in Los Angeles. She has over 30 years of experience in the real estate field, both in sales and co-owning two real estate website companies with her husband, Terry Pullan. Both real estate companies were sold and she went on to her latest business venture, owning Gallery Judaica, an internet and storefront Judaic artist gallery business which she sold in 2014. She has also spent her adult life in a variety of volunteer leadership roles, as Co-Chair of the Westwood Charter School Booster Club and Chair of the Palo Alto Districtwide Fundraising Committee. She is currently Chair of the LifeQuest Committee at Temple Isaiah, and Vice-Chair of ChaiVillageLA, as well as serving on the Programming and Services Committee. Andrea’s daughter, Lara, and son-in-law, Yoni, live in Northern California and her daughter, Sasha, lives in Venice, CA. 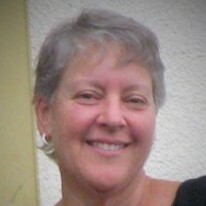 Lorna Belman was born and raised in Johannesburg, South Africa. After graduation and marriage, she and her husband Mike made Aliyah to Israel. The move was simultaneously a rejection of the values of the Apartheid regime and support for the growing State of Israel. Seven years later, they moved to Ohio and eventually to California. 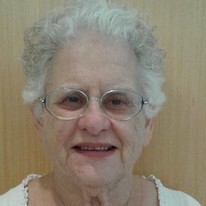 Lorna's first job in the United States was interviewing a cross-section of "Older Americans" in Cleveland and eliciting information on their satisfaction in areas like health care, community support, and activities of daily living. In California, Lorna worked for thirty years as a Speech Pathologist in public schools, where one of her proudest innovations was a program utilizing retired teachers to help under-achieving students. Relatively new to Temple Isaiah, Lorna and Mile were long-time members of a Santa Monica synagogue where Lorna served as a board member and board president. Happily retired, she enjoys spending time with her three children and seven grandchildren as well as serving in several roles in the village. Caroline Bloxsom was born and raised in Los Angeles and finds she thrives in this climate--both the weather and the social/artistic vibe. Truly a local, she graduated from 3rd Street and Marlborough Schools. She left the West Coast for Harvard-Radcliffe University, returning to her Los Angeles roots after graduation. Happily self-employed for over 30 years as a "freelance CFO," Caroline has worked with clients across a number of professional fields: legal, advertising/PR, entertainment and retail. She is an avid reader, gardener, crossword puzzle (NY Times every day! ), art history and classic film buff. She and her husband, Samuel Kolstad, have three adult children who live in California, Connecticut and Ohio. Caroline joined Temple Emanuel in the late 1980's and has been active most recently with husband Samuel in the Wise Aging Group. Caroline and Samuel were blessed with caring for Samuel's mother, Pauline, who moved to Los Angeles and lived with them in the twilight of her 91 years, peacefully passing in March 2018. Born and raised in Los Angeles, Barbara Joyner spent much of her 30 year career in Hospital Administration focusing on issues related to the quality of care provided by Medical Staff members. She served as Regional Director of Medical Staff for three affiliated hospitals in the Los Angeles area, managing nearly 3,000 physician staff members. Barbara holds a Master's degree in Health Systems Administration, and has served as a mentor to students pursuing Bachelor's and Master's degrees at California State University Northridge. Taking up running later in life, she has completed numerous marathons, half-marathons and triathlons, most taking place after her 50th birthday. Retired for six years, Barbara and her husband Dale spend much of the year traveling. They have two young adult sons. Susan Lava was born in Brooklyn and lived in New York until fifteen years ago, when her employer asked her to relocate to California. Susan's first career in New York was as an elementary school teacher and a teacher of developmental and remedial reading. She returned to school for her second master's degree and a career change. 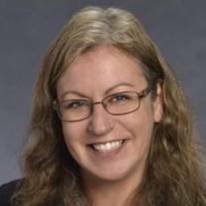 She has been a CPA since the mid '80s and is licensed in both New York and California. She worked in public practice for about 10 years and then worked in industry. Her last position and the one that brought her to California was as the CFO of a company that produced TV commercials. She is semi-retired with a small CPA practice. She was very active in her Long Island temple as the founder of the nursery school, as a board member and as president of the Sisterhood. Her three children and seven grandchildren live in three different cities: New York, Chicago and Sydney. Barbara Meltzer is Founder and President of her LA-based Public Relations agency. Her professional career began in the entertainment industry as assistant to the producer of the Tonight Show with Johnny Carson for 10 years, both in NY and LA. She went on to become Director of NBC-TV's Creative Services Department. A crisis with her parents led to Barbara's interest in aging issues and in creating age friendly cities. She is a Commissioner on both the LA County Commission for Older Adults and West Hollywood's Human Services Commission, where she is very involved in the city's Aging in Place initiative. 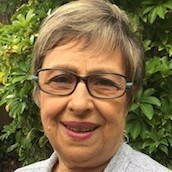 Barbara also serves as a member of AARP/California's Livable Communities Advisory Team and the LA County/City Purposeful Aging Action Planning Workgroup, an age friendly city initiative. In addition, Barbara is Vice President of the Friends of the West Hollywood Library Board. She loves to travel, dance, read and discover new and wonderful restaurants. Sue Rosenblum worked in corporate marketing departments for 15 years, first in NY and later in LA, where she was the Vice President of Marketing for Neutrogena. In 1993 she started her own management and marketing consultancy, helping small companies with strategic planning and business-building. Sue received her MBA from Harvard Business School. 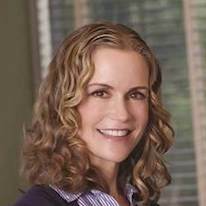 She has also used her marketing skills to help LA nonprofits, serving as Board Chair for Mar Vista Family Center, Grant Screening Board Chair for the Everychild Foundation and as an executive director coach. Sue also served on the Temple Isaiah Religious School Committee, the Temple Isaiah Board and the Capital Campaign Committee. Sue and her husband Dave are the proud parents of two adult children, Lauren and Eric. When Martha Sklar was 8 1/2 years old, a big change occurred in her life. She and her family left Old Havana and immigrated to the U.S., first settling in Detroit and later moving to Chicago. In Chicago, she received her BA, MA and Ph.D. in mathematics education and then taught in both urban and suburban settings. After her first son was born, she and her family moved to LA, where she has lived for 48 years, making her almost a native. Martha’s professional life in L.A. included teaching at Los Angeles City College and then serving as the Transfer Center Director followed by Dean of Academic Affairs. After retirement, she became more active in community organizations such as the League of Women Voters-Los Angeles, where she is currently co-President. Martha’s interests include theatre, music and travel—she has been on all seven continents. Jessica Dabney is the current Vice President and has been a member of the Temple Isaiah Board of Trustees since 2013. She and her husband, James, have two children, Julia and Josh. They have been members at Temple Isaiah since 2004 and are active members of the B'yachad program and The Green Team. Jessica was born in New York but has lived in Los Angeles for most of her life. She is an attorney and principal and North American Realty, a property management, consulting and acquisition firm. Dale Joyner was born in Florida and raised in West LA. Most of his 25 year career as a CPA was with a medium-sized San Fernando Valley accounting firm which specialized in small business clients and pension plan audits. Prior to his involvement with ChaiVillageLA, he served 10 years as treasurer of Temple Isaiah’s Board of Trustees and 4 years as treasurer of the SIDS Foundation of Southern California. Dale holds a Bachelor’s Degree from California State University Northridge. As the initial recipient of Temple Isaiah's Hineni award, he is often the first to step up and offer assistance. ChaiVillageLA has been a natural fit and offered the expansion of newfound friendships. When not "balancing the books," he can be found traveling with his wife, Barbara, to some new adventure. Peter M. Siegel lives in Beverly Hills with his spouse, Hope C. Stevens; both are active members of Temple Emanuel of Beverly Hills. Pete is a member of the board of directors of TEBH and one of the founders (and contact point) for Naaseh v'Nishma, a group of TEBH members supporting refugees and others in need--by doing. Pete and Hope have two children: Seth who lives just outside London with his brilliant spouse, Polly; and Sarah, who lives in the San Francisco area with her wonderful fiancé, Paresh. Pete has participated in not-for-profits as part of Jewish life (for a campus Hillel, a Jewish Federation and synagogues) as well as his work life (in California, New York and internationally). Pete is currently enjoying semi-retirement, having worked in university Information Technology management positions for his entire career (after a stint working for a living, as a programmer). 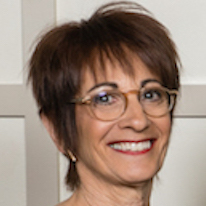 Sherri Morr has spent the last several decades working and consulting in and out of the Jewish community as an expert in nonprofit management, primarily major gift prospecting. As part of her work for Israel based organizations, she has taken numerous groups and individuals to Israel. She was the Director for the West Coast for the American Society of University of Haifa for 12 years at Jewish National Fund. 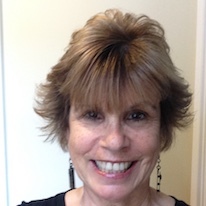 She completed an MA & an Honorary Doctorate at Hebrew Union College in L.A. Sherri has been a fundraising expert/consultant and teacher for the Baltimore Symphony, 826 Valencia, Jewish Women's Theatre, Tufts University, The Park School in Baltimore, Oakwood School in L.A., and the College of Idaho. Sherri has published fundraising articles in technical journals, EJewishPhilanthropy, Sh’ma, JWeekly, the Jewish Newsletter of Northern CA, and The Beverly Hills Courier in addition to nonprofit management consulting. 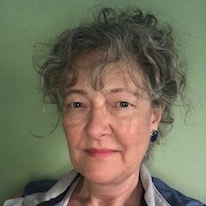 She is working on several writing projects including: “Captain Kirk Visits the Holy Land," “Pico & Jewish, A Neighborhood," and a memoir “Canned Fruit, and other Stories of Jewish Identity." Sherri has 3 grown sons, 3 grandchildren and lives in Los Angeles with her husband Paul Verger. 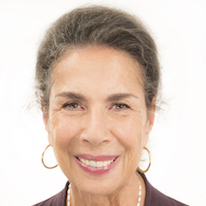 Rabbi Laura Geller is an Emerita Rabbi of Temple Emanuel in Beverly Hills, California. She was among the first women to be selected to lead a major metropolitan synagogue. Prior to being chosen for this position in 1994, she served as the Executive Director of the American Jewish Congress, Pacific Southwest Region. Among her accomplishments at AJCongress was the creation of the AJCongress Feminist Center, which became a model for other Jewish feminist projects around the county. She came to AJCongress in 1990 after fourteen years as the Director of Hillel at the University of Southern California. Rabbi Geller has been recognized with numerous awards and honors, including being named one of Newsweek’s 50 Most Influential Rabbis in America and the California State Legislature’s Woman of the Year Award. She was featured in the PBS Documentary called “Jewish Americans.” She is a frequent contributor to the Jewish Journal and the Huffington Post and she served on the Editorial Board of The Torah: A Woman's Commentary.. She is a Rabbinic Fellow of the Hartman Institute in Jerusalem and an alumna of the Institute for Jewish Spirituality Rabbinic program. She serves as a mentor for the Clergy Leadership Initiative, a project of CLAL. She was ordained by the Hebrew Union College in 1976, the third woman in the Reform Movement to become a rabbi. 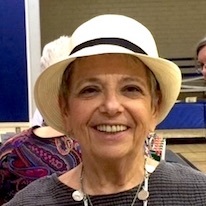 Rabbi Zoë Klein Miles has served as Temple Isaiah Rabbi since 2000. She graduated from Brandeis University with a B.A. in Psychology and received ordination from Hebrew Union College – Jewish Institute of Religion in 1998. She is the author of the novel Drawing in the Dust, which was published by Simon and Schuster in 2009, of which Publishers Weekly wrote, “Insight into the world of biblical excavation in Israel raises Rabbi Klein's debut novel from a Jewish Da Vinci Code to an emotionally rich story of personal and historical discovery." 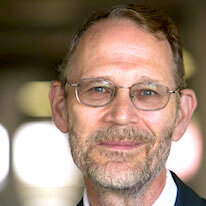 Rabbi Klein Miles has written articles for numerous publications including Harper’s Bazaar, Tikkun, and Torat Hayim. 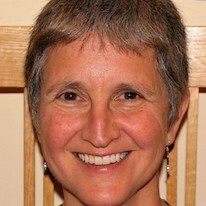 She has written chapters in a number of collections including Women’s Torah Commentary, Teen Texts, and Holy Ground: A Gathering of Voices on Caring for Creation. Her poems and prayers are used in houses of prayer around the country. Rabbi Klein gives numerous presentations and is a keynote speaker and a panel participant at various assemblies all over the country. She is a resource for reporters in regional newspapers and has appeared as a commentator on the History Channel in “Digging for the Truth.” Her second novel, Origin of Color, is scheduled to be published later this year. 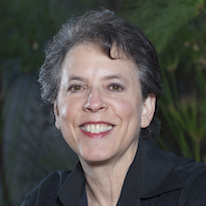 Devorah Servi's tenure as ChaiVillageLA's Director began in March, 2016. She previously served in the synagogue world as the Member Engagement Director at Kehillat Israel, Western Regional Director of the Reconstructionist Jewish Federation and Director of Gemilut Hasadim (Acts of Lovingkindness) at Chizuk Amuno Congregation in Baltimore. Devorah also earned a California teaching credential while a DeLeT Day School Teacher Leader Fellow at Hebrew Union College.She taught General Studies for 5 years, including at an ultra-orthodox school. Devorah traveled to India as a 2014-2015 American Jewish World Service Global Justice Fellow to learn about grassroots efforts to end early marriage and violence against women, girls and LGBTs. Devorah enjoys hiking, teaching swimming, creating art and songs, and being the proud great-aunt of Sofia and Isabel. Her work with ChaiVillageLA is dedicated to the blessed memory of her mother. Talia Karu is excited to join the ChaiVillageLA family! She is passionate about making authentic connections with others, lifelong learning, and making a meaningful difference in others' lives. Talia is a West Los Angeles native, having attended Sinai Akiba Academy and Milken Community Schools. Talia recently graduated with a BS in Biopsychology from UC Santa Barbara. She then spent six months in Israel spending time with her family, interning at the Eritrean Women's Community Center in South Tel Aviv, and eating way too much falafel. Talia's potential goals for the future are to become an LCSW with a specialization in Geriatrics. Outside of work, you can catch Talia hiking, practicing yoga, at the movies, spending time with her family, traveling with her boyfriend, or eating a burrito. 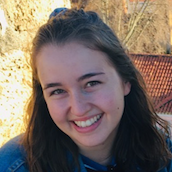 Talia looks forward to bringing her organizational skills, warm and caring personality, and love of older adults to her work at ChaiVillageLA! Richard Siegel z"l retired as the Director of the Zelikow School of Jewish Nonprofit Management at HUC-JIR in Los Angeles in 2015. Prior to this, from 1978-2006 he served in various positions at the National Foundation for Jewish Culture, the last 15 years as Executive Director. His work at the NFJC helped put Jewish culture on the communal agenda as an important medium for the Jewish conversation and the expression of contemporary Jewish identity. 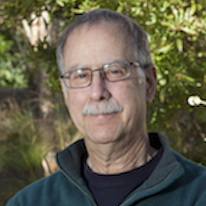 He is the co-editor of The Jewish Catalog(JPS, 1973), the best-selling guide to the Jewish counter-culture of the 60s and 70s, and The Jewish Almanac (Bantam Books, 1981), as well as other books, chapters and articles, on Jewish life and culture. Richard was serving as a Senior Resource Fellow at Community Partners where he was consulting on a number of projects relating to Jewish community and culture. In addition to his work on ChaiVillageLA, he was working with his wife, Rabbi Laura Geller, on a book entitled Getting Good at Getting Older: A Jewish Catalog for a New Age (Behrman House, 2018). Leadership Team (top of page) seated from left to right: Barbara Meltzer, Caroline Blossom, Sherri Moor, Devorah Servi, Terry Pullan. Standing from left to right: Barbara Joyner, Rabbi Laura Geller, Susan Levine, Pete Siegel, Sue Rosenblum, Susan Lava, Dale Joyner, Andrea Pullan, Jessica Dabney, Rabbi Zoë Klein Miles. Not shown: Lorna Belman, Martha Sklar.